A woman recently appointed as head of a local NAACP chapter in Spokane, Washington has apparently spent years “disguising” herself as black, according to the woman’s parents. 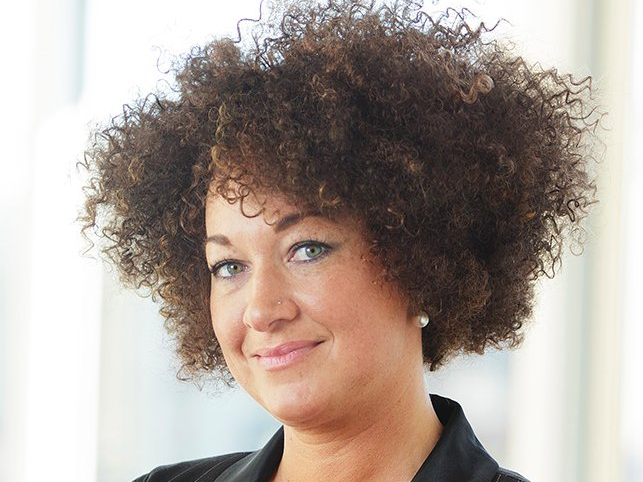 Her name is Rachel Dolezal. The Washington Times reports Dolezal, has identified as white, black and Native American. Dolezal’s mother, told some media outlets in the Spokane area that her family’s ancestry consists of Czech, Swedish and German with traces of Native American heritage. Toward the end of the video below, a reporter asks Rachel Dolezal if she’s African-American. She replied, “I don’t understand the question,” before abruptly walking away from the camera. In another twist, Dolezal has a history of reporting hate crimes in Spokane and at the Human Rights Education Institute in Coeur d’Alene, Idaho. The publication also says none of Dolezal’s hate crime accusations have led to an arrest or charges.